Having served several top class bands as Principal cornet including Grimethorpe Colliery and Brighouse and Rastrick, Alan has now retired from front line playing and conducting but continues to adjudicate at all levels. During his career as a freelance musician he made worldwide appearances as an adjudicator, soloist and conductor having performed in Australia several times, extensively in Europe and the USA as well as the lenght and breadth of Great Britain featuring in many festivals and gala concerts including the Henry Wood Promenade Concerts at the Royal Albert Hall. 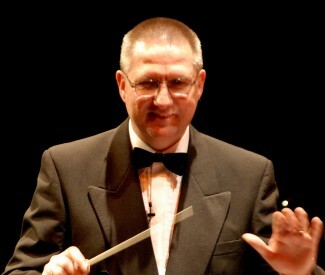 Over the years Alan has been involved in the promotion and coaching of many young people and youth bands including the National Youth Bands of Switzerland and Great Britain and in 2006 he was the guest conductor of the European Youth Band at its course in Belfast. Since 2003 he has been professional music advisor to the all conquering Camborne Youth Band who have now won 7 national titles. An experienced music examiner for the Associated Board of the Royal Schools Music he also visits educational establishments giving recitals, masterclasses and external examining, and has adjudicated brass band contests at all levels at home and abroad, including the National Championships of Great Britain, Australia, New Zealand, Switzerland, Sweden, the US Open and European Championships having made his first appearance in the box for the Championship Section of the Nationals at the Royal Albert Hall in 2013..
Alan has recorded seven solo albums and pioneered a teaching video that has proven very successful. He also regularly features on light music recordings for the BBC with various ensembles including big bands and orchestras. There are several compositions and arrangements published for brass band by Alan that have also proven very popular and all are still available, some of the titles becoming best sellers, such as Buster Strikes Back and Sugar Blues. In addition to this Alan won the Fodens Richardson award for new arrangements with his stunning version of Over the Rainbow. You can find out much more detail on Alan and his recordings by visiting his website at: http://www.justbrass.co.uk/alanmorrison where you can also purchase his CD`s and video on-line.